Last summer, my family and I were insanely fortunate to spend a month in Europe. Lucky us, my husband's company gives their employees a 4 week sabbatical every 5 years. This sabbatical was something I'd planned in my head from the moment he took the job. When we were married 9 years prior, I had 2 dream honeymoon destinations... Greece or Italy. 9 years ago, we chose Italy. So this time, Greece was definitely on the list. 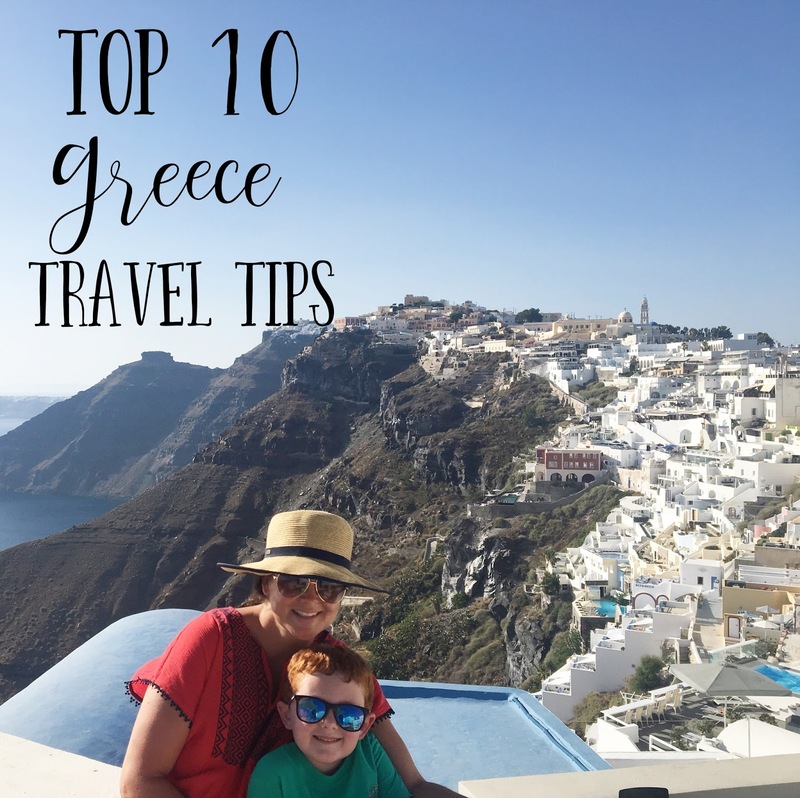 Although we went to Greece as a family (with our 5 year old son), I hope this will also help anyone planning a honeymoon in Greece. We spent 2 amazing weeks in Greece and I can honestly say it was some of the best times of our lives. It definitely lives up to the hype! Here are some things that I hope you find helpful for your trip. This seems somewhat obvious, right? If you visit more than 1 island, you'll likely take ferries between the islands. When that ferry pulls up to your destination, get in the line to get off immediately. They will unload & reload the boat insanely quickly & go to the next location. We barely made it off the boat the 1st time because my husband decided it would be a good idea to use the bathroom "real quick". Don't do that. If you are leaving the island by plane to get to your next destination (Athens & England seem to be the most popular) book the earliest morning flight possible. These little islands don't have the infrastructure to handle the amount of flights that come/leave every day. It is quite common for things to start backing up by mid day. Also, they may not let you in the actual airport until closer to your flight departure & you'll have to wait in the very hot sun in the summer. We absolutely adored visiting Mykonos & Santorini, however, it was Naxos that stole our heart. The smaller islands are less crowded, better priced, and it is easy to find hidden gems. One of the things people love about Greece is how chaotic and fun it is. But one of the things people don't like about it is also how chaotic it is. There is no order when getting on the bus at many of the stops. Try to position yourself in front of the door, because once it opens, people will flood on and they fill super quickly. You know the "no smoking" signs on the bus? They don't apply to the bus drivers. All our lives, in the US, we've been eating greek salads with lettuce. After visiting Greece, you'll never want to eat another typical US greek salad. In Greece they are just full of the most amazing tomatoes you'll ever eat. And capers, cucumbers, incredible olives and greek cheese. And in my opinion, you should split one with your significant other at every meal. They are SO GOOD! Everyone in Greece drinks bottled water, 100% of the time. Even the people that live there. This isn't a tourist thing. Luckily bottled water is super cheap. I fretted and fretted about taking a young child to Greece. Mykonos is a party city I read. 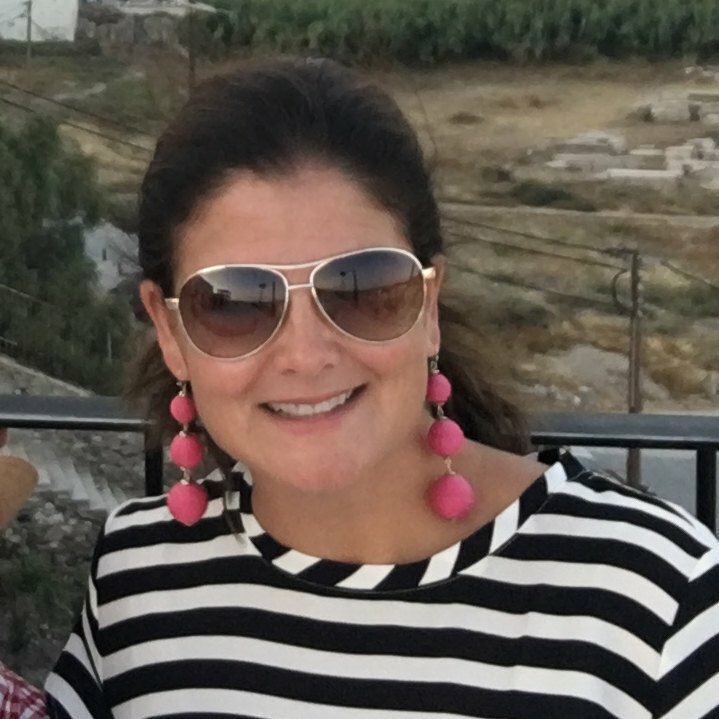 I panicked about my child falling off a cliff in Santorini (mother's imaginations can definitely run crazy!). And while you really do need to be careful of the cliffs in Santorini, Greeks love children, they themselves have children and they are everywhere. Of course, we didn't go to any hoppin hot spots or night clubs, but in restaurants and at hotels our child was always treated well. As you can tell, we have a redhead child. Sunscreen is a big thing with us and we are very particular about it. We brought a TON and still ran out. We could not find the same brands we use normally. Of course, they have plenty to buy and we did buy it, but with sunscreen I would have preferred my normal brands. To say my family loved Greece is an understatement. We made absolutely incredible memories there. The people were wonderful, the food is incredible and the views are to die for.